I know that the holidays can make it hard for meal planning. It is so much easier for us to eat out and avoid cooking in the kitchen. Especially when we’re out shopping. Not to mention, Christmas vacation can throw a wrench in the gears for sure. I have a solution for you! 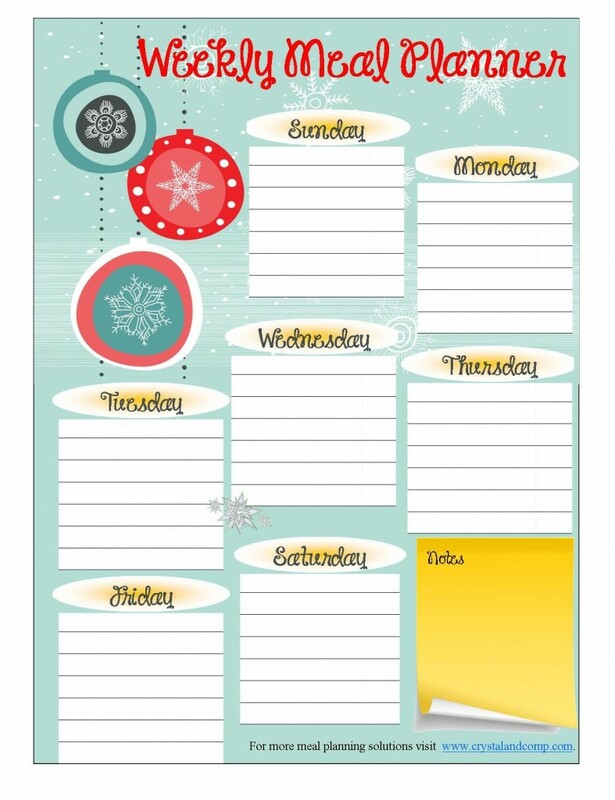 Here is a free printable meal planner that is themed just for Christmas. Isn’t it adorable? I love it. Click here, or the image below, to download it for free! I love the idea one of my readers gave me to laminate the printable and use a dry erase marker so you can use it over and over again throughout the month. Stick a magnet on the back and it is perfect on your fridge, too! I’m definitely going to look at making a laminate version of this. It looks really nice! Jenny recently posted..Does my spouse have to sign the divorce papers before I can get a divorce? Hi Jenny. Thanks for stopping by. I really love the idea of laminating it too! A very cute planner, something that would come in handy this silly season! Eva- thanks so much! I think it is adorable too and makes meal planning so fun! Thanks Maryall. Hope you’ve had an awesome December. I am unable to download the Menu Planner, can you help? You can click them image or the words download it here. If that is not working for you, here is the direct download link: https://crystalandcomp.com/wp-content/uploads/2013/12/free-printable-meal-planner-january-2014.pdf.